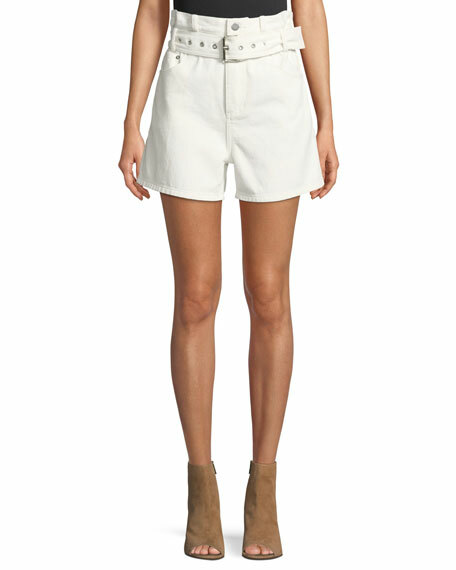 3.1 Phillip Lim high-rise shorts in cotton with origami pleating and a paperbag waist. Features a faux-leather (polyurethane) cord belt through grommet-style belt loops. 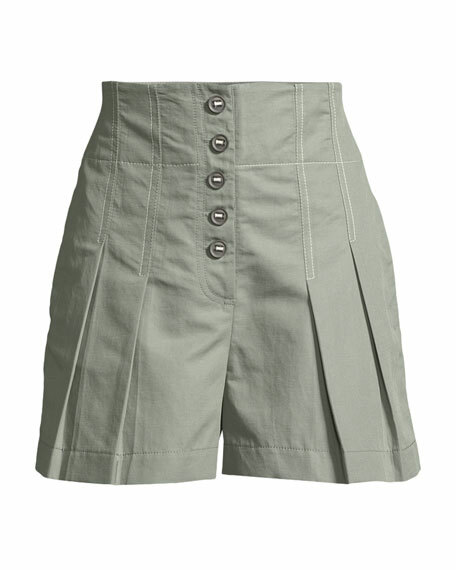 Button-welt pocket at back right. Relaxed fit through wide legs. Hook-eye/zip front. Imported. 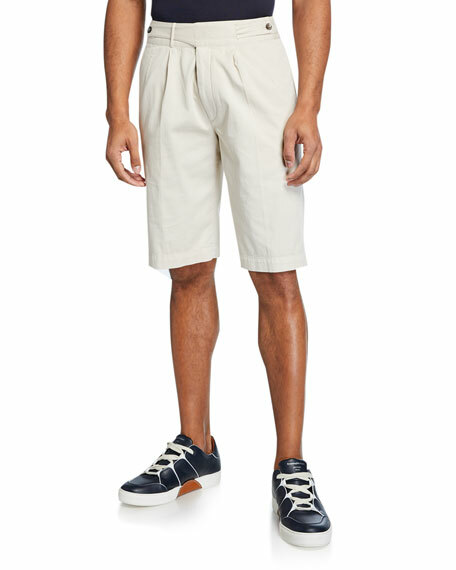 Ermenegildo Zegna shorts with Gurkha waistband. High, cummerbund-style waistband with button fastenings. 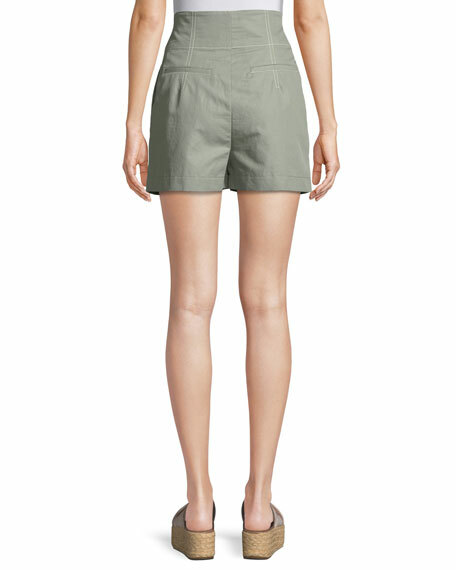 Quarter-top pockets; back flap pockets. 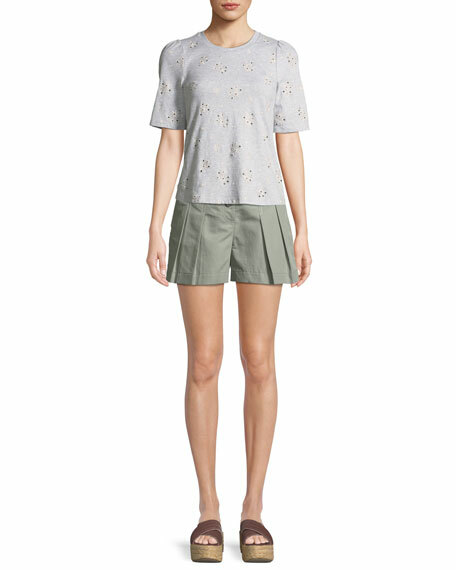 Double-pleated front. Hem hits at knees. Cotton/silk/spandex. Made in Italy.